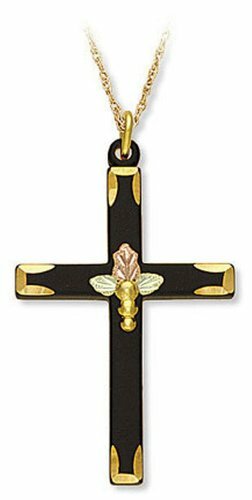 Landstroms delicate 10 karat Black Hills Gold cross with 12 karat Black Hills Gold leaves and 10 karat Black Hills Gold grape clusters, on complimentary 18" Gold-filled chain. 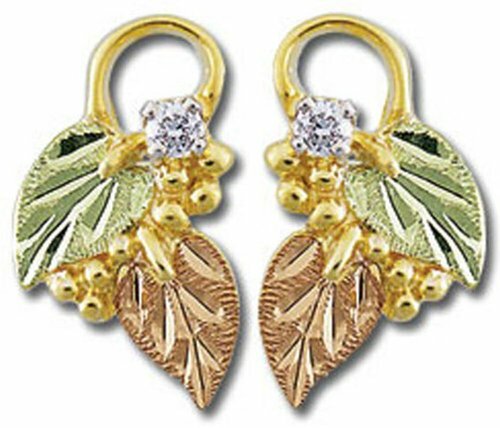 Landstroms 10 karat Black Hills Gold earrings with 12 karat Black Hills Gold leaves, 14K post and 5 point diamond. 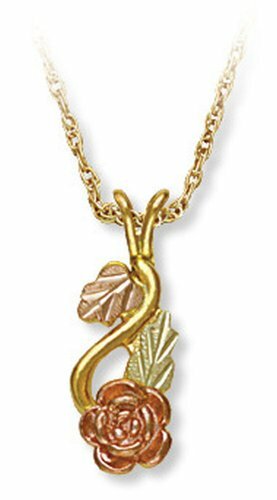 Landstroms 10 karat Black Hills Gold rose pendant with 12 karat Black Hills Gold leaves and complimentary 18" gold-filled chain. 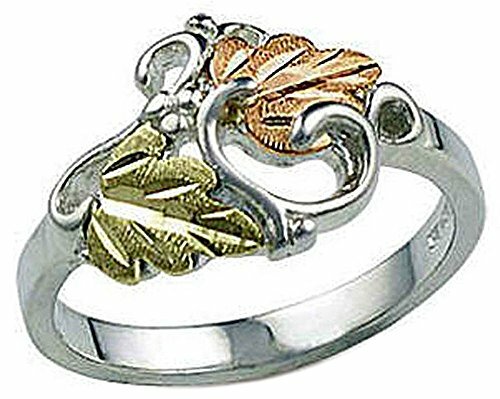 Ladies Sterling Silver ring with 12 karat Black Hills Gold leaves. 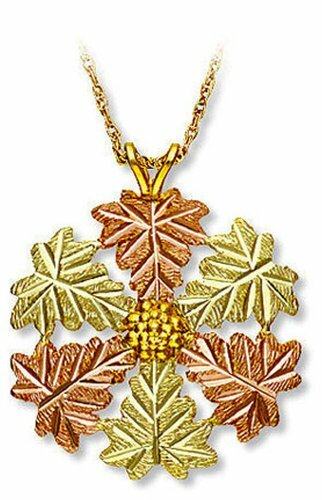 Landstroms lovely 10 karat Black Hills Gold cross accentuated with groups of 10 karat Black Hills Gold grape clusters, 12 karat Black Hills Gold leaves, same as M620 with 5 point Diamond in the center. With complimentary 18" Gold-filled chain. 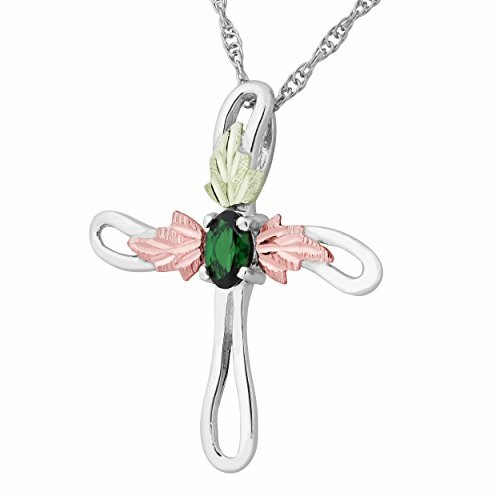 This sterling silver cross with an open design has leaves of 12k rose and green Black Hills Gold and is set with a synthetic emerald in the center. Sparkling snowflake created from 10 karat Black Hills Gold leaves and 10 karat Black Hills Gold grape clusters, with complimentary 18" Gold-filled chain. 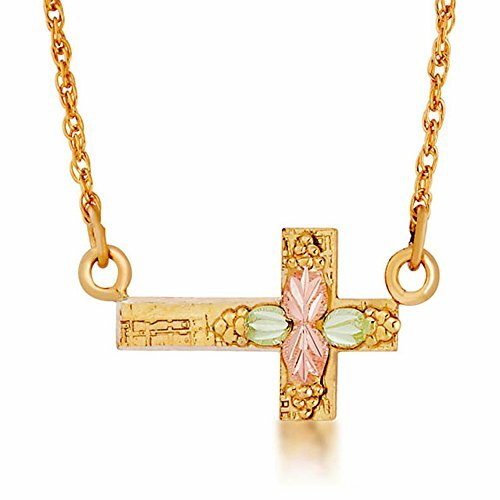 Landstroms intricate 10 karat Black Hills Gold trim on baked black enamel cross, with complimentary 18" Gold-filled chain. 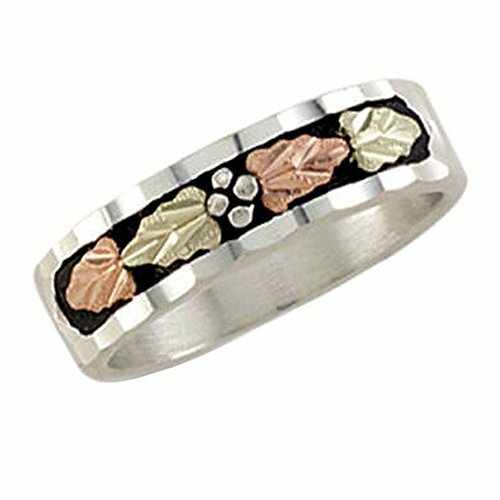 Black Hills Gold - How Black Hills Gold Jewelry is made.